AR will shape the future of mobile apps. Be among the leaders of this revolution. 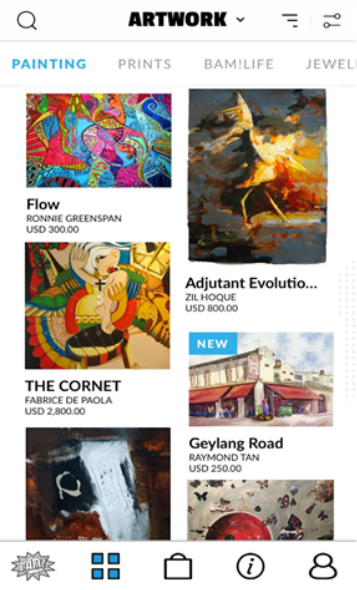 BAM disrupted the gallery business model by eliminating the gap between artist and buyer and connecting them directly on a joint platform for purchasing art. However, in doing this, they lost an aspect that proved to be extremely important to buyers – being able to see an artwork physically. 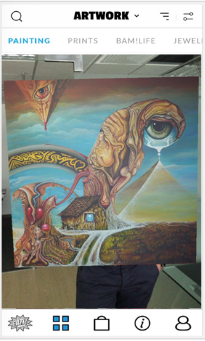 Buyers had issues visualizing how a painting would look on a wall. Does it fit the decorative theme of their house? Is it maybe too big or too small for the place they had in mind? These are all questions that buyers would like answered before they commit to purchasing an expensive artwork, and the impersonal and uncertain nature of online retail made them all the more difficult to answer. 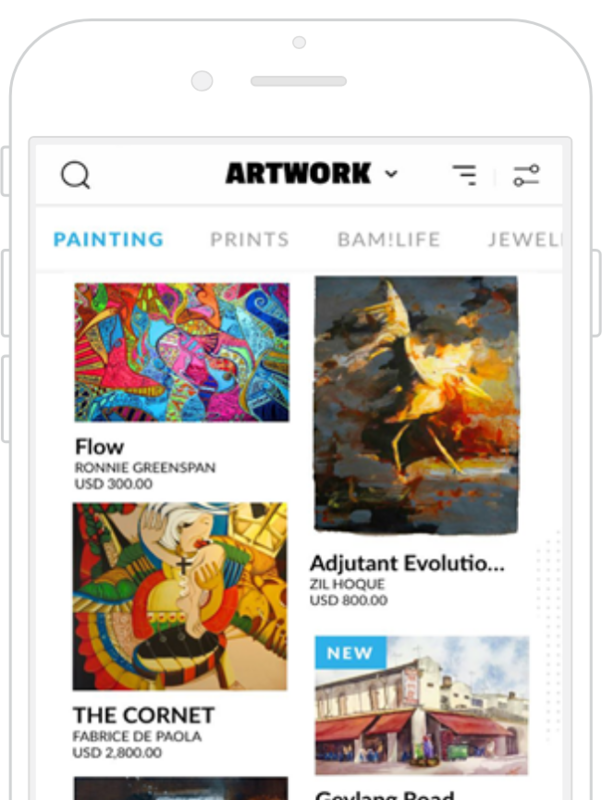 BAM is a marketplace that allows artists from around the world to post their work and sell it to an international audience. Born out of a desire to support and promote Global Art Entrepreneurs, their sole objective is to provide a forum that truly supports both the artist and the buyer. With no expensive gallery fees to pay, artwork can be valued fairly and realistically, making it accessible and affordable to a much wider audience. Baxter’s came to us for a solution to this issue. They asked us to help them by developing a mobile app that would contain image galleries of paintings in various locations so that customers could find something similar to their house and get a better idea of how it would look. 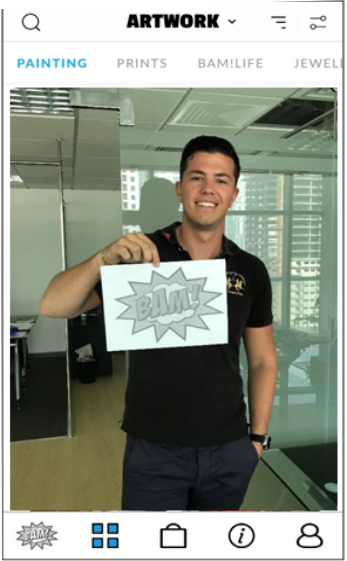 We refused to develop this application because we felt that it would be too big of an investment for a very marginal improvement in customer conversion rate. However, we proposed a much more creative solution. We offered to make an augmented reality application that would allow people to see exactly how a painting would look in their house by projecting a model onto their walls through their phone or tablet screen. Since size is an important factor, we made it work with a tag that allows the app to understand the exact distance that the phone is positioned from the wall and to create a perfect simulation of the painting. 9 media features in the month following release.